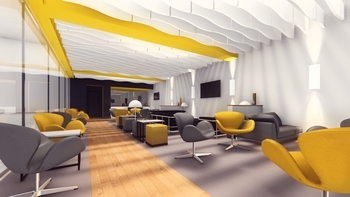 Bournemouth Airport has announced plans to open its first Executive Lounge on 1st June. The picture below is taken from some pre-design work and is not necessarily going to be the final look but it seems fairly ambitious. Pre-booking is available for £21.95 via the airport website here. There is no word yet as to whether Priority Pass or Lounge Club will be accepted but I would be surprised if they are not. Sold by Manchester Airports Group in 2017, the airport is now owned by Rigby Group. Rigby also owns Norwich, Exeter, and Coventry Airports and has management contracts to operate Solent, City of Derry and Blackpool Airports. Thanks to Zoe for this. Stobart Air has announced plans to launch London Southend to Newquay flights on 1st April. This is planned to be a Flybe franchise, but by 1st April Stobart Group is due to have injected its airline business into Flybe as part of the Virgin Atlantic-led takeover. Flights will initially operate five days per week, increasing to daily from 1st May to 31st September. 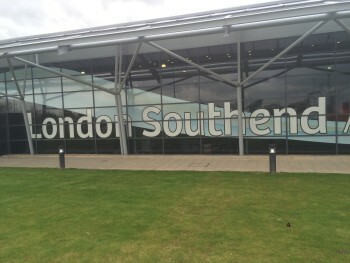 If you’ve never been to London Southend Airport you will be pleasantly surprised. Here is my review. Remember that there is a direct rail link from London Liverpool Street. Le Club AccorHotels, the loyalty scheme for Ibis, Novotel, Mercure, Sofitel, Raffles, Fairmont, Pullman etc, has launched a promotion with Club Eurostar. Neither of these options offer great value as this HFP article explains. You are better off using your Accor points for free hotel nights and your Eurostar points for free train travel. During this new special offer period, however, you can earn triple Club Eurostar points on every Accor stay. This IS a decent deal, especially compared to taking Avios, although it isn’t much use if you’re not an existing Club Eurostar points collector. The offer runs until 28th March. You MUST have your Accor accounts set to automatically convert your points to Club Eurostar, which can be done via this page of the Accor website. Warning – if you activate this, all of your existing Accor points will be transferred over to Club Eurostar. Do not do this until you are happy with that. You can find out more about the offer on the Accor site here. Above the “Shoestring Travel” wording are three Chinese characters in red. Due back soon – hopefully HKG-FRA in F will ‘just work’. 1.How many people can “pool” points to make a booking if they live at same address? 2. Can this be done online as it used to with SPG? 3. Is there any limits each member can transfer? O/T I’ve just finished my first month of SPG Amex (first statement dated yesterday) and have >30K points (incl bonus) showing in my online Amex account – when exactly do the points transfer across to my Marriott account? Should be six days before statement. Have a small number gone across? OT: Any recommendations for hotel for 2 nights in Dubai on a budget? 3 or 4 star, so just needs to be clean (good shower and bed). Anywhere but Deira / But Dubai, so preferably more south than that. Most US airlines run lounges for their elites, in all classes of service. Flying paid First domestically won’t get you in unless you have BA Gold or Silver. Had a nightmare with a mortgage application this week. Bank was asking why I was withdrawing thousands in cash on my credit card. I was not being charged as a cash-like transaction with anything on checking my statements so I carried on but they are apparently showing as such on my credit file after a hard search. I’ve used the full 50k on my curve card, 95% of it being at places you can’t normally use credit cards. So you can image how bad it looked. Not personally seen anything similar on here so thought I’d mention. Be wary if you’re looking at a new mortgage/remortgage. My bank was happy with my explanation but not would not have used it if I had known. Just to be clear – did you withdraw that amount of cash, or was the bank treating your general Curve transactions as cash advances? Curve does strongly advise against taking cash out from credit cards and this is probably one reason why. very little cash withdrawal on Curve. Less than 1k before I gave it up as I couldn’t be bothered. All actual card use. Was this since curve stated that the code attached to usage would be changed? What sort of use were you doing?? Paying off amex ? Wow didn’t know this! I have only taken out £1.2k give or take so hopefully not that bad?!? But will stop now I guess! what was your credit card? creation and virgin ok for me till now – scores’ are almost perfect. Hilton Barclaycard. Score is fine but just a lot of cash advances showing haha. This is post the code change. But as above, I checked a few transactions and no charge so thought all was good. Technically, if you’re not bothered about getting credit in the near future all is still good. Uh I just did my mortgage app. I’ve had no issues and I use curve too. @RTS but did you make cash withdrawals (i.e. at ATM)? OT: Made my first IHG stay since “joining” this site and it’s wonders about 10 months ago. With my Platinum status from IHG card, got upgraded to a Suite in a Holiday Inn! Chuffed, it’s massive, much bigger than the Suite in Shangri-La I got upgraded to few days svo. (Jade status via Plat Amex). Any ideas what this is? You got upgraded to a suite by HI on your first stay as platinum…you got very lucky…enjoy…you will likely come down to earth with an almighty bump on your second stay 🙂 Actually, FWIW I generally did better with platinum than I did the two years I was Spire. They give you welcome points due to your loyalty membership. Sometimes you can choose between drinks vouchers and 500 welcome points . It’s a wee welcome gift as an IHG member with status. You’re normally given the choice of drinks voucher or points but sometimes the points post anyway so I always pick the drinks voucher! Received my new Metal card today and activated it on the app, and my surprise they have cut my annual spend limit! I paid £150 for the card on the basis of having Amex support and higher spend limits (they advertised up to £1.4m a year). As we all know, Amex support has already been removed, but now they’ve reduced my annual spend limit by 60%, from £100k to £40k!! Incredible. Has anyone else had their limit reduced after ‘upgrading’ to the Metal card? Unbelievable. You pay for their premium product and get your spend limit slashed! I’ve already been waiting 6 days for a response from their customer service for a different issue. Chances of me applying for Curve upgrade now zero. New post on the Curve blog today about introducing payment protection… talk about rearranging the deckchairs! The first para tickled me – “We’ve all been there. You order something online and the goods received aren’t quite as expected” Like a Curve Metal card, perhaps. *purchase protection – an important distinction! Yep, is in addition to Mastercard chargeback protections seems a decent addition for free. OT as bits: IHG do you get extra 25.000 points every year you requalify as spire or is it “first time and once gift”? There is a section on the online account page you can go to select them IIRC. Each year, it’s one of the Spire benefits you can choose from each year you requalify. Last week’s launch FAQs have now been updated. Those who upgraded to Metal because of AMEX will be allowed to cancel and revert back to Legacy Black and have their £150 refunded. “I upgraded to Metal due to Amex, can I cancel and become grandfathered? OT but Eurostar, Ebbsfleet has a business lounge now. Accepts Amex Plat and of course business premier and carte blanche status. Not too sure exactly how long the lounge has been there but for the last couple of years anyway since I’ve been using Ebbsfleet. I use St P when leaving from the office but now always Ebbsfleet to/from home. It’s so much more convenient. I was going to run this yesterday but it isn’t actually true – well, it is but not as general policy. Just seems to be a test to see what would happen if, during timetable disruption, they did not clean aircraft to improve turnaround.